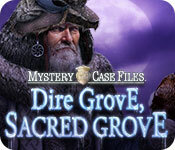 In Mystery Case Files: Dire Grove, Sacred Grove, there's something troubling going on in Dire Grove. The temperature has plummeted and the animals in the forest have begun attacking villagers for no reason! Most have evacuated, but a few hunters have hung on, determined to stop who they believe is responsible for this disturbance - the Druid Mistwalkers! Now, it's up to you to mediate between these two opposing sides and discover what's really going on here at Dire Grove. But that doesn't mean you're left to your own devices! We've worked hard to create a Mystery Case Files: Dire Grove, Sacred Grove Walkthrough to assist you as you proceed with your investigation! Now you can rely on six robust chapters jammed packed with everything you're going to need to know in order to see this investigation to the end. We've made sure to include tons of custom marked screenshots to clearly display all the key items and areas of interest you'll need to investigate. Don't know what to do next? Just follow along with our detailed gaming instructions that will walk you through the game from the very beginning all the way to the end credits. And don't forget, we've also got solutions to all those puzzles and mini-games you're going to encounter as you play so you'll never have to resort to using a skip button! 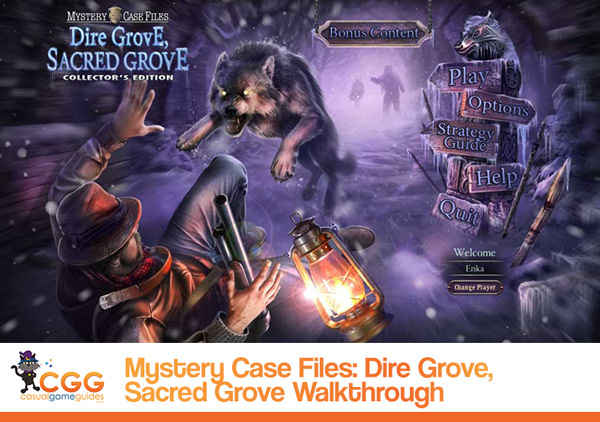 We hope you enjoy our Mystery Case Files: Dire Grove, Sacred Grove Walkthrough!